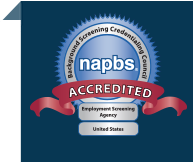 One of the most common questions our clients ask us is, “How do I know which screening services to choose?” Employers want to make informed hiring decisions and mitigate their hiring risks without over- or under-doing it. When it comes to employment screening, it’s important to match the “check” to the job/role you’re hiring for. For example, someone with unsupervised access to cash needs to be screened at a higher level than someone working as a commercial landscaper. Still, to minimize the risks of negligent hiring and increase safety in the workforce, both must be subject to screening. Today, we introduce a new interactive program builder tool to help you better assess the employment screening services that are most applicable to the candidates for a given job in your organization. Answer a few questions about the level of supervision and characteristics of the role you seek to fill and our program builder will instantly suggest services to consider. You can also build your budget by requesting pricing from the resulting services.